Wed., Oct. 18, 2017, 8:55 a.m.
OAKLAND, Calif. – When Derek Carr arrived at Oakland training camp, he quickly tried to dampen the high expectations around the team by pointing out that the Raiders shouldn’t be considered the AFC West favorites. They hadn’t even beaten Kansas City the past two years. 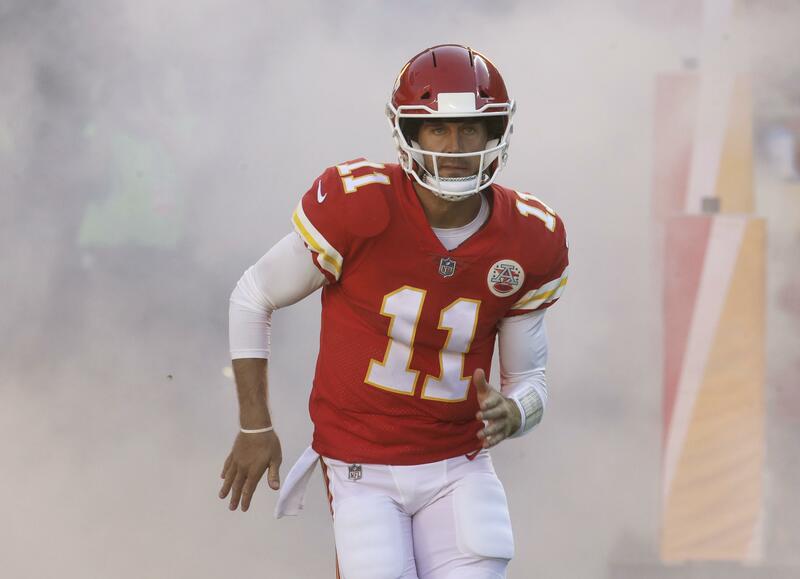 No one played better than the Chiefs the first five games as quarterback Alex Smith led a dynamic offense that got a big boost from game-breaking rookie running back Kareem Hunt. The Raiders made a key addition at linebacker this week when they signed four-time All-Pro NaVorro Bowman after he was released by San Francisco. Bowman may have lost a step at age 29 after a series of injuries, but he still is an upgrade at inside linebacker, where the Raiders have been playing the unproven Marquel Lee and Corey James. Bowman tried to get up to speed all week and hopes to be ready to make his debut against the Chiefs and prove he can still contribute at a high level. For most of his career, Smith has been dogged by criticisms that he is nothing more than a game manager who never throws the ball deep. That hasn’t been the case this season as he ranks second in the NFL with 11 completions on passes more than 20 yards downfield – three off his career high. Instead, it’s Carr who has been checking the ball down too much as the Raiders rank last in the NFL with two deep completions all year, including only one by Carr. No team has protected the ball as well as the Chiefs, who haven’t turned it over since Hunt lost a fumble on their first play of the season. Kansas City has run 363 plays since without losing the ball. The Raiders have struggled to take it away, becoming just the third team in NFL history with no interceptions in the first six games. Oakland has five takeaways all together, with two coming on special teams. A key factor in Oakland’s loss last week to the Chargers was an inability to guard tight ends or running backs. Hunter Henry caught two long passes on the winning drive, and Melvin Gordon caught nine passes, including a TD. That has been an issue all season, with Oakland allowing the sixth-most yards receiving (662) to backs and tight ends. The defense will be put to the test this week against Hunt, Travis Kelce and the Chiefs. Kansas City leads the NFL with 790 yards receiving from those two positions. These AFC West rivals are meeting on a Thursday night for the third time in four seasons. Back in 2014, the Raiders took an 0-10 record into the game before breaking through for Carr’s first career win in a 24-20 victory perhaps best remembered for Oakland linebacker Sio Moore’s sack dance while the Chiefs were racing to the line to run a play. Kansas City won 21-13 at home last December to help secure the division title, holding Carr to 117 yards on 41 passes. Published: Oct. 18, 2017, 8:55 a.m.